After months of collaboration, starting June 2016 between IBM and Maersk shipping company, Tradelens blockchain shipping platform was launched in August of 2018. This launch marked the opening and commercialization of the platform for wider industry infiltration. According to IBM and Maersk, Tradelens will solve problems peculiar to the shipping industry such as too much paperwork, inefficient clearance processes and cumbersome peer-to-peer messaging that often results in high operational costs. Despite the attractive potential of TradeLens, most industry players were skeptical to join the platform at first as they viewed it as an extension of Maersk operations. This meant it would not be open and neutral to other stakeholders. Confirming this perception, the head of IBM Tradelens, Marvin Erdly admitted to CoinDesk that the platform was struggling to get sign ups from other shipping carriers two months down the line. This issue appears to have nudged IBM and Maersk back to the drawing board to develop an independent advisory board for purposes of providing guidance and feedback that is open and fair to all stakeholders on the platform. Fast forward todate and more than 60 network members, 40 ports and terminals, and 8 global customs authorities have signed up on the platform, the latest being the Spanish Port, Authority of the Bay of Algeciras (APBA). The later signed the collaboration agreement with IBM on Tradelens in January of 2019. According to Feroz Sanaulla, LDJ Capital Managing Director for Venture Capital (MENA, Abu Dhabi, Dubai), the increased sign ups is an indication that players in the shipping industry are keen on adopting the blockchain technology in their operations. Although Tradelens has made significant inroads in the shipping industry, there are several other blockchain projects targeting the shipping industry which include Global Shipping Business Network (GSBN), Samsung SDS and Dutch bank ABM AMRO project, AB InBev, Accenture, APL, Kuehne + Nagel and a European customs organization blockchain. 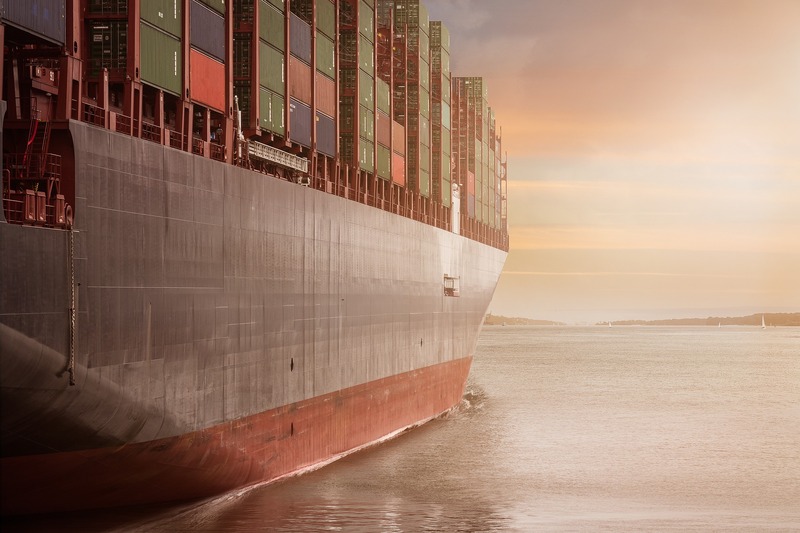 These developments point to possible widespread adoption of blockchain technology in the shipping industry as players develop private, as well as public, blockchain projects. Private blockchains are preferred by individual companies because they can easily be customized to meet specific company needs. By implementing an industry-wide public blockchain platform, the shipping industry will realize the much needed efficiency that results from connectivity and interoperability by all players involved. But more still needs to be done despite the positive outlook of blockchain projects in the shipping sector. For instance, there is need to develop standards facilitate harmonization of different blockchain networks. This could be achieved through application of normalized protocols across blockchain solutions through the use of an abstraction layer.